The book integrates information from the various fields, including pharmacology, neuroscience, psychology and psychiatry, to provide a broad perspective on how drugs affect behavioral processes. Drugs, Brain and Behavior describes the psychological effects of drugs, and how drug actions can be understood in terms of effects on the brain. This discussion includes drugs that are used for the treatment of psychiatric disorders, as well as common drugs of abuse. Rather than simply focusing on drug dependence and addiction, this text also places considerable emphasis on drug treatments for various psychiatric disorders such as: schizophrenia, depression, anxiety, parkinsonism, ADHD and Alzheimer's disease. It also combines neurotransmitter-based approaches to the field with perspectives that emphasize specific drugs and distinct drug categories. 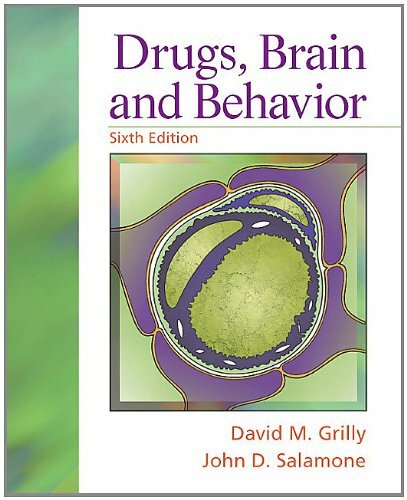 Intended for Undergraduate courses in Psychopharmacology and/or Drugs and Behavior, this new edition of Drugs, Brain, and Behavior provides an overview of the field of psychopharmacology, which focuses on the behavioral effects of drugs. Personalize Learning - The new MySearchLab with eText delivers proven results in helping students succeed and provides engaging experiences that personalize learning. Improve Critical Thinking - Content encourages students to consider the psychological effects of drugs and how drug actions can be understood in terms of effects on the brain. Engage Students - Updated references and figures reflect current trends and data. Explore Research - Discussions of pharmacotherapy in psychiatry, current neurochemical hypotheses, and general phenomena of drug dependence and use, among other topics. Support Instructors - MyTest, PowerPoints, and an instructor's manual offer additional support for instructors. About David M. Grilly (Author) : David M. Grilly is a published author. 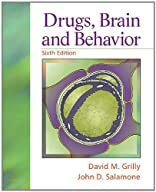 Some of the published credits of David M. Grilly include Drugs and Human Behavior (5th Edition).